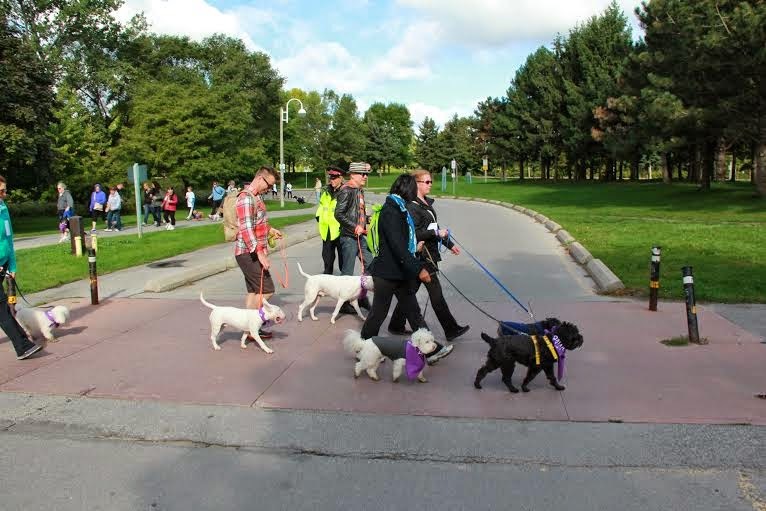 Toronto Dogs Directory: Toronto Humane Society's Annual Paws in The Park Is Back August 24! Toronto Humane Society's Annual Paws in The Park Is Back August 24! Awareness Alley: Find out about the services the Toronto Humane Society provides and supports such as our spay/neuter clinic, low cost vaccinations, dog training, and Helping Lost Pets. Low cost microchip implantation will also be on site, so if your pet does not yet have this important method of identification we will provide it for you at the low cost of $20. Style Street: Pooches will be able to take part in a free mini-primp including nail trims and polish, a brush out, and bows. Ogena will also be on-site to give your pup an almost waterless bath that will leave them fresh and clean after their walk. Bistro Boulevard: Food trucks and tasty treat vendors will be on site to provide you with snacks and refreshment after your walk to save lives. Cool Down Cove: Get your pup poolside to mingle with other cool canines and beat the heat. Vendor Village: With many different vendors on board, even the most discerning shopper will find something fantastic to bring home. Entertainment: Award winning comedian Carla Collins will be hosting the event and will keep you entertained throughout the day. But that’s not all - see what dogs can really do with a great show from Gemini K9 Obedience Inc. and groove along to live performances by Samara York and Luau or Die. A free to enjoy face painter and caricature artist will also be on site for the kids, or the young at heart. We are very excited to see you all there so sign up today at www.pawsinthepark.com!